God has created men by nature and vocation with a natural desire for Himself (CCC 44) and men can only find happiness in God (CCC 27). But men become lost as they seek God due to ignorance and sin (CCC 397). Realizing real dangers in the world and the God-implanted understanding of the need for salvation, men aspire to heroic deeds and seek courageous heroes to protect and lead them through the challenges of life. The desire and need for true heroes is perennial in the hearts of men across time and cultures. From an early age, boys naturally seek heroes. They look up to their fathers, older boys and other men as role models and as defenders/protectors. Boys are intrigued by the heroic deeds of fictional characters (e.g. Superheroes in movies, TV and books, videogame heroes, sports heroes, etc.). Boys admire and seek those with heroic virtues. When grown, men continue to seek heroes. Some continue on with the fictional heroes of youth, trading comic books for the action/superheroes and celebrities in the media. Most men also look up to heroes in real life. Many follow and celebrate sports teams and athletes. Others admire and follow politicians, social activists or business leaders. Still others look up to and follow real life heroes in the military (e.g. medal of honor winners), religion (e.g. saints) and people who perform extraordinary deeds in the face of tough challenges (e.g. 911 responders, those who battle life-challenging illnesses, etc.). All men, in some way, desire to be heroes and to associate themselves with heroic leaders. Many men are confused about the definition and true nature of heroism. Heroism is confused with celebrity. Heroism is confused with self-serving athleticism, political opportunists, charlatans who deceive, “anti-heroes” or outright scoundrels. The meaning of the word “hero” has been dumbed down to the point of being almost meaningless. Doing an Internet search for websites, news articles or images provides ample evidence of the misuse of the word “hero”. Heroism is associated with movie stardom, video games (e.g. Guitar Hero), relatively routine athletic accomplishments and even a sandwich. Sadly, many of the real life men who masquerade as heroes, fail, and fail spectacularly. Jesus is infinitely higher above all other heroes – He is the Son of God; there can be no hero that compares. Heroes come and go, but only Jesus is the long-awaited Messiah. No hero, except Jesus, was anticipated for thousands of years before His birth and remains a hero two millennia after His death (and Resurrection). He physically protects people on earth – He saves the Disciples who are in fear of drowning (Luke 8:22-25). He stands up to the bloodthirsty mob that is going to stone the adulterous woman (John 7:53-8:11). He protects the disciples from the violent legion when He is taken in the Garden (John 18:8). He is the ultimate protector. Jesus is the perfect demonstration of virtue – He demonstrates prudence, temperance, justice and fortitude and charity with perfection that no man has met, or can ever, match. He heals people from sickness, madness and death – Jesus healed the multitudes of every illness and raises them from the dead. He stands for Truth against falsehood – Repeatedly, He confronts the Pharisees and the Sadducees and corrects their falsehoods, despite their collusion to kill Him. 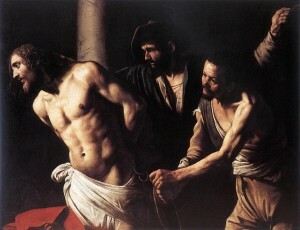 He refuses to yield to Pilate, even as Pilate threatens Him with death. Jesus is Truth itself (John 14:6). Jesus defeats man’s greatest foe, Satan – There is no greater enemy of man than Satan. Jesus defeats Satan (1 John 3:8) when tempted in the Wilderness (Matt 4:10), by casting out demons (Matt 8:28-34), and by using the Satan-inspired evil of Judas (Luke 22:3) for the Glory of the Cross and Resurrection (CCC 2853 ). He defeats Satan on his home turf (Hell) when Jesus descends to offer His “redemptive works to all men of all times and all places…” (CCC 634). Only Jesus delivers us from evil. He defeats man’s greatest scourge, Sin – He saves people from sin (CCC 2854). For example, He tells the sinful woman at Simon the Pharisee’s house, “Your faith has saved you; go in peace.”(Luke 7:50). He sacrifices Himself for others – Jesus makes an infinite sacrifice, for His life is of infinite value and he gives it for the sins of all mankind. He chooses a horrible death freely (John 10:18), saying, “Greater love has no man than this, that a man lay down his life for his friends.” (John 15:13). He offers salvation for all mankind – His Name means “God saves” (CCC 430) and it is only the name of Jesus that can actually save (Acts 4:12). “Christ’s whole life is a mystery of redemption. Redemption comes to us above all through the blood of His cross…” (CCC 517). “He who believes and is baptized will be saved; but he who does not believe will be condemned” (Mark 16:16). “For the Son of man came to seek and to save the lost.” (Luke 19:10). “For God so loved the world that he gave his only Son, that whoever believes in him should not perish but have eternal life.” (John 3:16). He is recognized as a Savior during His life on earth – The Samaritans profess, “It is no longer because of your words that we believe, for we have heard for ourselves, and we know that this is indeed the Savior of the world.” (John 4:42).